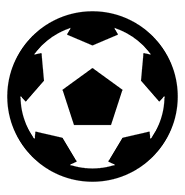 Match ends, Bordeaux 1, FC København 2. 90+6' Second Half ends, Bordeaux 1, FC København 2. 90+6' Offside, Bordeaux. Benoit Costil tries a through ball, but Pablo is caught offside. 90+6' Samuel Kalu (Bordeaux) wins a free kick in the defensive half. 90+6' Foul by Rasmus Falk Jensen (FC København). 90+5' Corner, Bordeaux. Conceded by Nicolai Boilesen. 90+5' Attempt blocked. Sergi Palencia (Bordeaux) right footed shot from outside the box is blocked. 90+3' Second yellow card to Zeca (FC København) for excessive celebration. 90+2' Goal! Bordeaux 1, FC København 2. Robert Skov (FC København) left footed shot from the centre of the box to the bottom right corner. Assisted by Rasmus Falk Jensen. 90+1' Foul by Aurelien Tchouameni (Bordeaux). 90+1' Zeca (FC København) wins a free kick in the defensive half. 90+1' Otávio (Bordeaux) wins a free kick in the defensive half. 90+1' Foul by Pieros Sotiriou (FC København). 88' Corner, Bordeaux. Conceded by Pieros Sotiriou. 87' Benoit Costil (Bordeaux) wins a free kick in the defensive half. 87' Foul by Dame N'Doye (FC København). 87' Foul by Otávio (Bordeaux). 87' Rasmus Falk Jensen (FC København) wins a free kick on the left wing. 86' Substitution, FC København. Denis Vavro replaces Sotiris Papagiannopoulos. 86' Foul by Andreas Cornelius (Bordeaux). 86' Sotiris Papagiannopoulos (FC København) wins a free kick in the defensive half. 85' Attempt saved. Dame N'Doye (FC København) right footed shot from the right side of the box is saved in the centre of the goal. Assisted by Pieros Sotiriou with a headed pass. 84' Goal! Bordeaux 1, FC København 1. Younousse Sankharé (Bordeaux) left footed shot from outside the box to the bottom left corner. Assisted by Andreas Cornelius. 82' Corner, FC København. Conceded by Sergi Palencia. 81' Attempt blocked. Aurelien Tchouameni (Bordeaux) right footed shot from the centre of the box is blocked. Assisted by Maxime Poundjé with a cross. 80' Foul by Otávio (Bordeaux). 80' Rasmus Falk Jensen (FC København) wins a free kick in the attacking half. 79' Attempt saved. Jan Gregus (FC København) right footed shot from outside the box is saved in the centre of the goal. Assisted by Nicolai Boilesen. 78' Substitution, Bordeaux. Aurelien Tchouameni replaces Lukas Lerager. 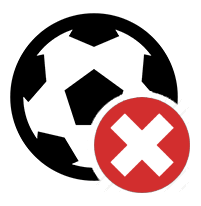 78' Foul by Lukas Lerager (Bordeaux). 78' Dame N'Doye (FC København) wins a free kick on the left wing. 76' Attempt missed. Dame N'Doye (FC København) header from the left side of the six yard box misses to the left. Assisted by Jan Gregus with a cross. 74' Foul by Lukas Lerager (Bordeaux). 74' Stephan Andersen (FC København) wins a free kick in the defensive half. 74' Attempt blocked. Lukas Lerager (Bordeaux) right footed shot from very close range is blocked. 74' Attempt saved. Yann Karamoh (Bordeaux) right footed shot from the centre of the box is saved in the centre of the goal. Assisted by Samuel Kalu with a through ball. 72' Attempt missed. Samuel Kalu (Bordeaux) left footed shot from the centre of the box is high and wide to the left. Assisted by Younousse Sankharé. 70' Zeca (FC København) is shown the yellow card for a bad foul. 70' Lukas Lerager (Bordeaux) wins a free kick in the attacking half. 70' Foul by Zeca (FC København). 70' Substitution, FC København. Rasmus Falk Jensen replaces Nicolaj Thomsen. 67' Attempt missed. Yann Karamoh (Bordeaux) right footed shot from outside the box is high and wide to the right. Assisted by Lukas Lerager. 67' Corner, Bordeaux. Conceded by Nicolai Boilesen. 65' Pablo (Bordeaux) is shown the yellow card for a bad foul. 65' Foul by Pablo (Bordeaux). 65' Dame N'Doye (FC København) wins a free kick in the attacking half. 63' Attempt missed. Samuel Kalu (Bordeaux) right footed shot from outside the box is high and wide to the right. 63' Attempt blocked. Sergi Palencia (Bordeaux) right footed shot from the right side of the box is blocked. 63' Attempt blocked. Yann Karamoh (Bordeaux) right footed shot from the centre of the box is blocked. 63' Attempt saved. Yann Karamoh (Bordeaux) left footed shot from the left side of the six yard box is saved in the bottom left corner. Assisted by Andreas Cornelius with a headed pass. 63' Substitution, Bordeaux. Yann Karamoh replaces François Kamano. 62' Substitution, Bordeaux. Andreas Cornelius replaces Jimmy Briand. 58' Corner, FC København. Conceded by Benoit Costil. 58' Attempt saved. Nicolai Boilesen (FC København) header from the centre of the box is saved in the top left corner. Assisted by Jan Gregus with a cross. 58' Substitution, FC København. Robert Skov replaces William Kvist. 58' Corner, FC København. Conceded by Jules Koundé. 58' Attempt blocked. Dame N'Doye (FC København) right footed shot from the centre of the box is blocked. Assisted by Zeca. 54' Corner, FC København. Conceded by Jules Koundé. 54' Attempt blocked. Pieros Sotiriou (FC København) header from the centre of the box is blocked. Assisted by Peter Ankersen with a cross. 53' François Kamano (Bordeaux) wins a free kick in the defensive half. 53' Foul by Zeca (FC København). 52' Pieros Sotiriou (FC København) is shown the yellow card for a bad foul. 52' Sergi Palencia (Bordeaux) wins a free kick in the defensive half. 52' Foul by Pieros Sotiriou (FC København). 51' Pablo (Bordeaux) wins a free kick in the defensive half. 51' Foul by Pieros Sotiriou (FC København). 51' Offside, Bordeaux. Otávio tries a through ball, but Jimmy Briand is caught offside. 50' Attempt saved. Maxime Poundjé (Bordeaux) left footed shot from outside the box is saved in the centre of the goal. Assisted by Samuel Kalu. 49' Corner, Bordeaux. Conceded by William Kvist. 49' Corner, Bordeaux. Conceded by Andreas Bjelland. 49' Attempt blocked. Samuel Kalu (Bordeaux) left footed shot from outside the box is blocked. Assisted by François Kamano. 47' François Kamano (Bordeaux) wins a free kick in the attacking half. 47' Foul by Zeca (FC København). 47' Offside, Bordeaux. Jules Koundé tries a through ball, but Younousse Sankharé is caught offside. Second Half begins Bordeaux 0, FC København 1. 45+4' First Half ends, Bordeaux 0, FC København 1. 45+4' Penalty missed! Bad penalty by François Kamano (Bordeaux) right footed shot is just a bit too high. François Kamano should be disappointed. 45+2' Sotiris Papagiannopoulos (FC København) is shown the yellow card for a bad foul. 45+2' Penalty Bordeaux. Jimmy Briand draws a foul in the penalty area. 45+2' Penalty conceded by Sotiris Papagiannopoulos (FC København) after a foul in the penalty area. 45' Offside, Bordeaux. Younousse Sankharé tries a through ball, but François Kamano is caught offside. 42' Goal! Bordeaux 0, FC København 1. Pieros Sotiriou (FC København) header from the centre of the box to the top right corner. Assisted by Jan Gregus with a cross following a corner. 42' Corner, FC København. Conceded by Pablo. 41' Foul by Samuel Kalu (Bordeaux). 41' William Kvist (FC København) wins a free kick in the defensive half. 40' Delay over. They are ready to continue. 39' Delay in match Younousse Sankharé (Bordeaux) because of an injury. 38' William Kvist (FC København) is shown the yellow card for a bad foul. 38' Younousse Sankharé (Bordeaux) wins a free kick in the attacking half. 38' Foul by William Kvist (FC København). 34' Offside, Bordeaux. Samuel Kalu tries a through ball, but Younousse Sankharé is caught offside. 34' Foul by Pieros Sotiriou (FC København). 34' Pablo (Bordeaux) wins a free kick in the defensive half. 30' Attempt missed. Younousse Sankharé (Bordeaux) left footed shot from the centre of the box is close, but misses to the left. 30' François Kamano (Bordeaux) hits the bar with a right footed shot from outside the box. Assisted by Younousse Sankharé. 27' Foul by Dame N'Doye (FC København). 27' Jules Koundé (Bordeaux) wins a free kick in the defensive half. 25' Pablo (Bordeaux) wins a free kick in the defensive half. 25' Foul by Jan Gregus (FC København). 20' Foul by François Kamano (Bordeaux). 20' Peter Ankersen (FC København) wins a free kick in the defensive half. 19' Hand ball by Jan Gregus (FC København). 19' Lukas Lerager (Bordeaux) wins a free kick in the defensive half. 19' Foul by Pieros Sotiriou (FC København). 18' Attempt missed. François Kamano (Bordeaux) right footed shot from outside the box is too high. 17' Younousse Sankharé (Bordeaux) is shown the yellow card for a bad foul. 17' Foul by Younousse Sankharé (Bordeaux). 17' Jan Gregus (FC København) wins a free kick in the defensive half. 17' Corner, Bordeaux. Conceded by Andreas Bjelland. 16' Otávio (Bordeaux) wins a free kick in the defensive half. 16' Foul by Nicolai Boilesen (FC København). 15' Corner, FC København. Conceded by Otávio. 14' Foul by Pablo (Bordeaux). 14' Dame N'Doye (FC København) wins a free kick in the attacking half. 13' Jimmy Briand (Bordeaux) is shown the yellow card for a bad foul. 13' Foul by Jimmy Briand (Bordeaux). 13' Dame N'Doye (FC København) wins a free kick in the defensive half. 13' Corner, Bordeaux. Conceded by Stephan Andersen. 13' Attempt saved. Samuel Kalu (Bordeaux) left footed shot from the right side of the box is saved in the bottom left corner. Assisted by Pablo. 10' Foul by Maxime Poundjé (Bordeaux). 10' Dame N'Doye (FC København) wins a free kick in the defensive half. 9' Attempt missed. Samuel Kalu (Bordeaux) right footed shot from outside the box is high and wide to the right. Assisted by Lukas Lerager. 2' Offside, Bordeaux. Younousse Sankharé tries a through ball, but Samuel Kalu is caught offside.